Recorded at Morgan Studios in Willesden and Trident Studios, AIR Studios and Island Studios in London between March and June 1972 and at Olympic Sound Studios and Abbey Road Studios in London between September and October 1972. Mine comes with a white sleeve with a "important Notice" from EMI. Someone has a different inner sleve? Anyone else have a copy where record one, side two is pressed off-center? Had “Red Rose Speedway” been released in this fashion years back, it may have been considered (at the very least) as “ambitious”. However, “Red...” was cut down to the sleepy single-disc of subpar material that you have come accustomed to for nearly 5 decades, and the adventurous essence and structure of this incarnation of “Red...” (a mix of studio and live-esque tracks from diverse musical genres with different lead vocals) would be saved more of less for “Venus And Mars”. I loathe the original boring “...Rose...”, but presented in this form, it is (as previously mentioned) at the very least more interesting, if not scattershot. The album, in either form, still suffers from a lack of direction and/or confidence, sure, but that’s only because Paul was brimming with so many (maybe too many) ideas-further exemplification and evidence of genius to some, lack of discipline or self-indulgence to others. The “Achrive Collection” continues to solidify it’s initial and award winning vision, an all encompassing journey into Paul’s individual works. For me, it has established itself as the blueprint and model for how a veteran “Artist” can bring it’s “Fans” and “Critics” alike into what was really going on creatively at the time-Paul’s musical “genius” and music business mindset continue to forge ahead fearlessly. The package is huge, if you decide to invest in that monumental masterpiece, with all of the material touted to be pre-1972, though I did have to check that out, as it didn’t feel accurate, nevertheless it was. The most cool thing is that all of the remastering was said to have been supervised by Paul, though that aspect has me thinking that it wasn’t a hands on job by Paul, only his supervisor and stamp of approval. Though again, the descriptors state, “The result is one of the most ambitious and personal undertakings of its kind, one that encompasses more than 40 years of cherished, classic material from the most successful songwriter and recording artist in music history,” so who knows how hands-on this was. Regardless, and I often don’t say this, but the songs really do sound good, relaying a smoothness and warmth I’d not expected to discover, and while there are a number of different versions for a couple of songs, the collection is not belabored with five or six takes of all the songs, making the collection entirely listenable, especially if the shuffle button is engaged on your CD player. 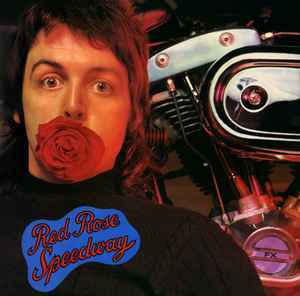 In case there are those who don’t know, or don’t remember, Red Rose Speedway took place back in 1973, where at the time it was said that Paul was not an especially intense lyricist, preferring instead to choose his words according to sound and feel alone, along with his melodies, where particularly on the more uptempo material, appear to be fostered through basic reliance on a rotating riff. Mathematically this adds up to nothing, but over the radio and through repeated listenings the power of such a simple combination mounts steadily, so that what is finally delivered is the pop song refined to its ultimate extension … pleasant, accessible, solid and without concentration. I’ve always felt that Paul’s real talent lies in his ability as an arranger, with his deep and abiding consideration of not only the music, but where the instruments are placed within a room, on stage, and how that transfers to one’s home listening space. Paul’s other attribute is that he prefers to blend his sounds in washes, rather than having instruments stand out on their own, other than for enunciation, meaning that everything seems to be swirling around him, where he acts as the center and musical point of reference. With these newly remastered tracks, another notion I’d always had was brought to light even more clearly, that being his ability to understand and practice restraint, which I would imagine is no easy task for a once-Beatle, but then, his position with the bass within that band clued him into the secret that much can be done with little. As if that weren’t enough, there’s a sense of comfort relayed by Paul and his music here, his milieu, and his ability to surround himself with those who could bring forth his vision without injecting their own. It’s interesting to note that while other members of the Beatles were out there featuring themselves, Paul was ever interested in retaining that membership within a band, thus giving himself room to decompress from his former life, settle down, present something that was fresh warm and exciting, something that magically did not in any manner overlap into that Beatlesque realm. By no means was this album to achieve accolades, with several rock rags criticizing it, though it seems that criticism was based solely, or perhaps left over from his initial Wings outing, which really was not all that good. Regardless, Speedway proved to be an amazing success, defining a new presence for Paul McCartney and the music that would carry him into the future. I could go on an make an equally strong argument that this album, and in effect, this collection is not that good, that it’s not worth your money, that’s its all rather enjoyable fluff, written for fun, with no real soul or intelligence, but you know, sometimes that’s just what we all need in our lives, a bit of nonsense playing on the background until a sensational line or chord catches our attention, causing us to do a little dance, sing right out loud and have a bit of fun without pretense. One is either a fan of McCartney, or not, there seems to be little middle ground. The Beatles were who they were, with the individual member’s solo albums being just that, solo albums, revealing no secrets from those Fab 4 days, and perhaps that’s the way it should be. I would sincerely suggest getting the CD only; purchasing the massive production is for the true fan only, those who purchase this for resale on the secondary market are going to lose money, it’s not going to hold its value, and more importantly, just how much is it worth to own a numbered copy? That number enhances nothing, it adds little value, and will take away resources that could be used for other purchases. So consider wisely, don’t get swept up in the hoopla, if you decide you want that numbered package down the road, one will be available at a more than reasonable price anytime you wish to take the plunge. Need a listing for the big box that has Red Rose Speedway and Wild Life. Came out last week. Could someone tell me the reason why this CD is so expensive ? This release 7338297 and release 8447608 are the same. They should be combined preserving the following from 8447608: Matrix / Runout: SONOPRESS B-9599/CDM 7520262 B Made In W-Germany" on disc. "3 BONUS TRACKS" written in RED at top of booklet front. What Do I Need To Do too correct This Confusion And To Prove It Is Not A Reproduction ?? The tracklist misses the Medley at the end of the record!